Nonhuman Workers of the World, Unite! 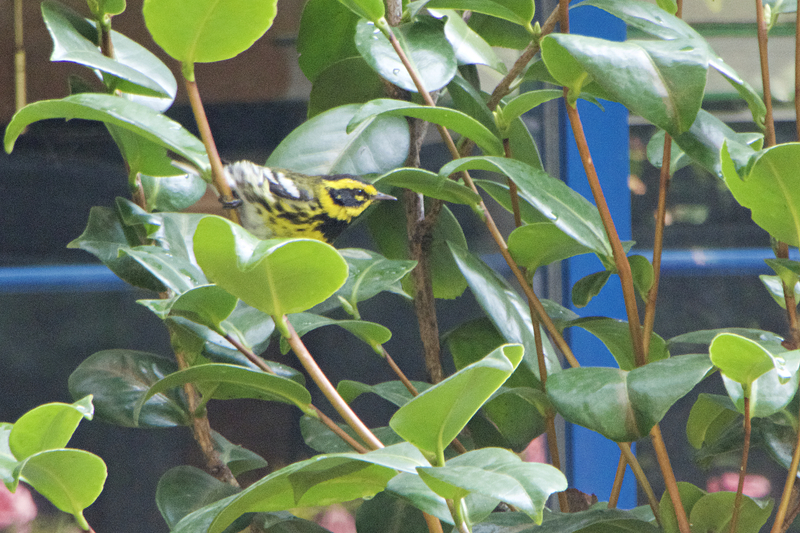 Among the first birds I noticed in a tiny courtyard of the National Autonomous University of Mexico were Wilson’s warblers: a pair of yellow-bodied, black-capped balls of industry, hopping along pathways, into bushes and out their tops, pausing every few seconds to eat a bug. I was at the university for a conference—Minding Animals, a triennial gathering of scholars and activists interested in relationships between humans and other animals, with a particular focus on their sentience. 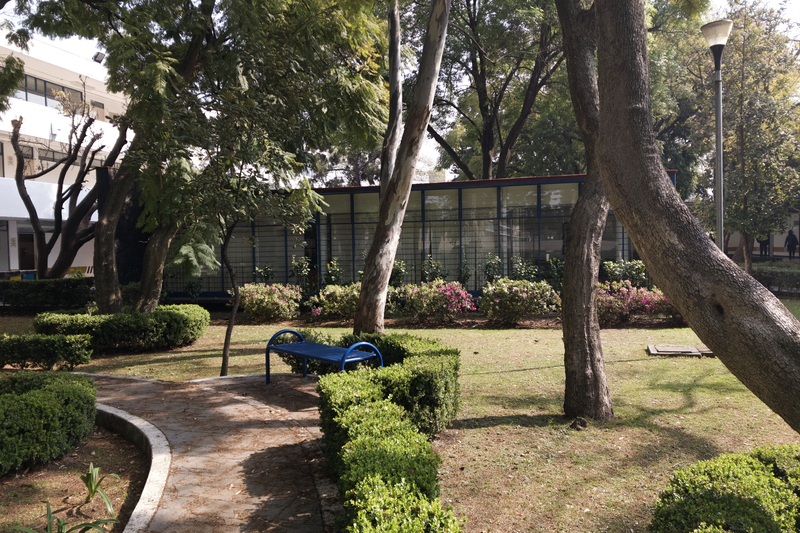 During breaks between presentations I would wander into the courtyard, a quarter-acre or so of tree-shaded lawn between two classroom blocks. As inevitably happens, paying attention to one creature led to more. Townsend’s and Audubon’s warblers in the shrubbery. The knock-knock of a woodpecker overhead. 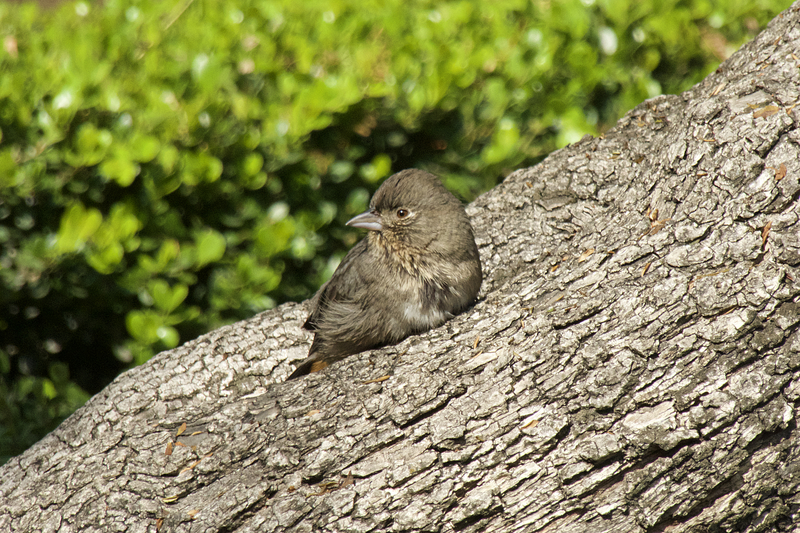 American robins and house finches and canyon towhees patrolling the lawn. House sparrows everywhere, Bewick’s wrens at the edges. 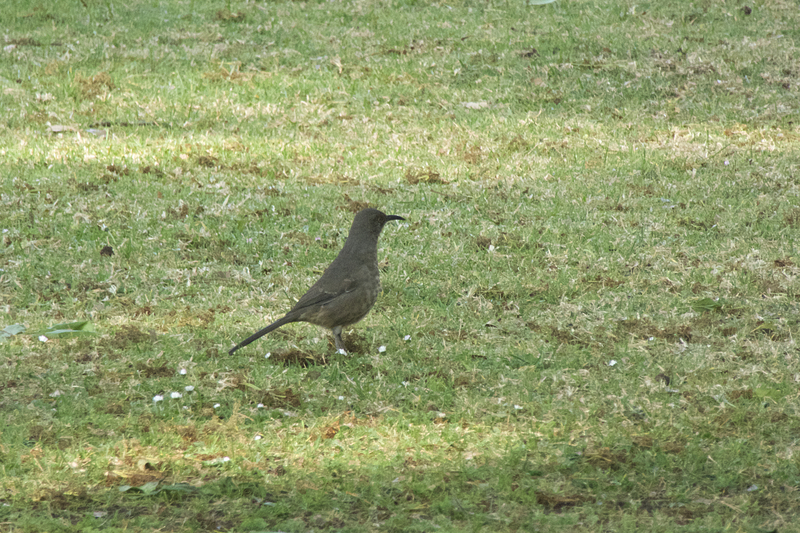 A cameo by a curve-billed thrush. 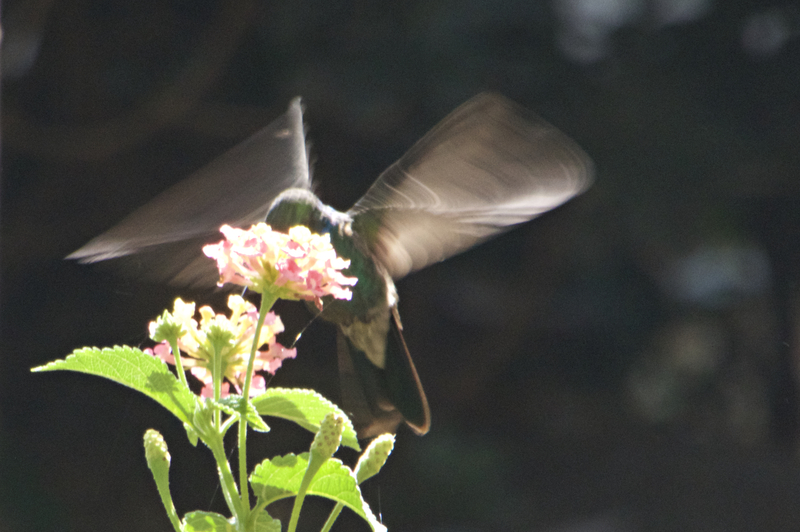 Another by a hummingbird at a rosebush. 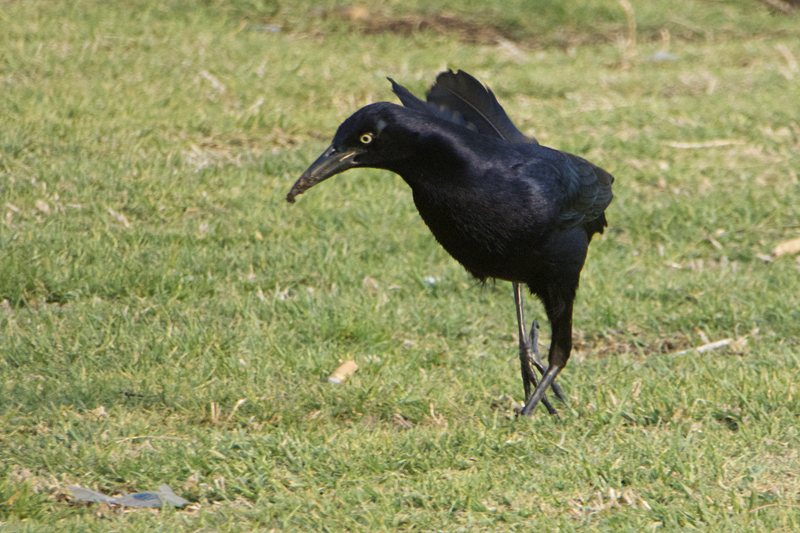 Every so often, a boisterous gang of great-tailed grackles. 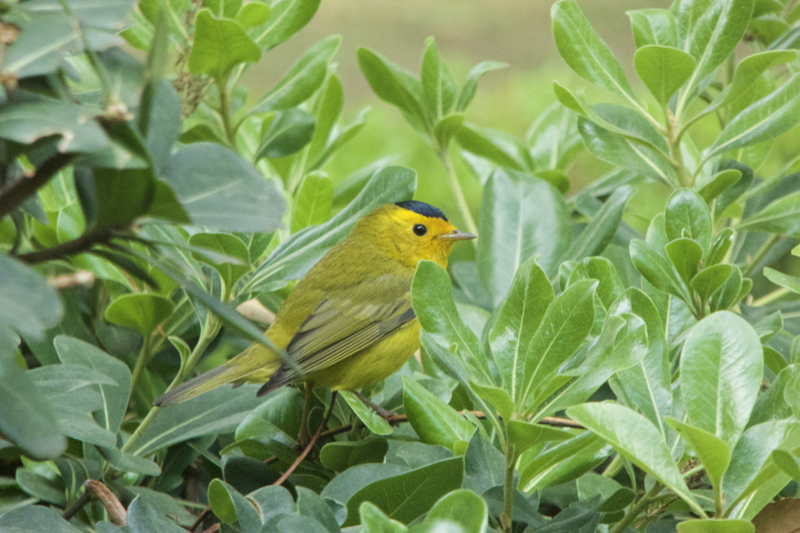 The conference lasted a week, long enough to go from noticing species to recognizing individuals and patterns—warblers in the morning, wrens all day, grackles on the ground in the afternoon—and to develop a sense of these animals as regulars. Members of a community for whom the courtyard was home. On the last day, as I sat on a bench hoping the hummingbird would return, several groundskeepers dug in the soil beneath a row of bushes. They seemed agitated by what they found. I went to take a look: grubs of some sort. Not speaking Spanish, I couldn’t learn much more, but the groundskeepers were not happy, and it was easy to suppose that the grubs were unwelcome—a problem soon to be tackled with that frontline response of groundskeepers everywhere, pesticides. The possibility cast a shadow. Every bird in that courtyard ate insects; soaking the ground in pesticides ran the risk of poisoning them. Killing or at least sickening them, weakening their bodies and scrambling their minds. I couldn’t shake the thought of those warblers beginning their many-thousand-mile summer journey back north with toxin-heavy wings. In my head, I ran through the usual arguments against garden pesticides: sure, they might work in the short term, but disrupting the natural pest-control services offered by birds—and, for that matter, by other insects—would be self-defeating and lead to new outbreaks. Which is true enough in principle, but also rings antiseptic in my ears. It’s a faceless argument. Maybe there’s another way to frame it. The possible plight of those birds called to mind another group often harmed by pesticides: agricultural workers. Might it help to instead think of those courtyard birds explicitly in terms of their labor? As fellow workers? It’s a notion that’s received a good bit of attention in animal circles these last few years. It’s seen as a matter of fairness. As Dinesh Wadiwel, a political theorist at Australia’s University of Sydney, noted at the Minding Animals conference, domesticated animals make up the largest labor force on Earth. Presently they’re almost entirely uncompensated if not downright invisible. Charlotte Blattner, an animal law scholar at Queens University and another Minding Animals speaker, described recognition of animal labor as a middle-ground between animal welfare laws, which provide bare and usually insufficient protections, and full-blown calls for animal rights, which make many people uncomfortable. One needn’t support total animal liberation to think that donkeys used in the brick-making industry—who carry bricks for twelve hours a day, six days a week, until they’re no longer physically capable, at which point they’re killed—get a raw deal. So far, the real-world applications of these ideas mostly involve domestic animals, such as police dogs in the English city of Nottinghamshire guaranteed pensions upon retirement and a Swedish labor union considering worker protections for therapy animals. It makes sense to think of wild animals this way, too. Not that they’re laboring for us in the way a service dog or donkey does, but we benefit nonetheless. 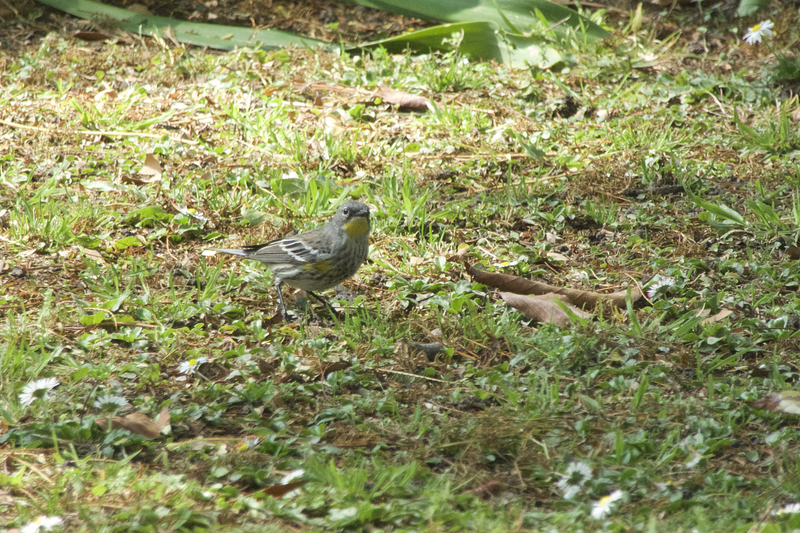 Those birds in the courtyard, busy eating insects from dawn to dusk, conscientiously combing each leaf and stem and blade of grass, were a small army of gardeners. At present this is tangentially recognized by the concept of ecosystem services—all those benefits so often enumerated by hopeful conservationists and nature-lovers, and so seldom incorporated into actual policy and industrial practice. Usually ecosystem services are framed at a macro scale: it’s right there in the name. But this is subtly misleading. Clean air and clean water, carbon sequestration, and organic materials are not yielded by something so abstract and impersonal as “ecosystems.” They’re the products of vast and unceasing animal and organismal activity. Countless creatures preparing soil, dispersing seeds, distributing nutrients, regulating populations, performing the myriad and constant tasks necessary to support the nature we take for granted. Maybe recognizing animal labor at a larger scale would help people appreciate that. As for pesticides and birds in a courtyard in Mexico, perhaps we might treat potential exposures as a matter of workplace safety. It’s worth thinking through from the birds’ perspective, with an appreciation for all the work they do. For poetic purposes, this is a bird-forward paragraph, but let the record also note one gregarious squirrel and at least two tiny lizards who liked to bask on a certain tree trunk. One obvious objection, or at least discomfort: what about people? Shouldn’t we first worry about actual human beings who are exploited and abused in their labor? It’s a fair point. It’s also fair, I think, to note that the systematic mistreatment of animals tends to occur in tandem with the mistreatment of people. Children are exploited to make bricks, too. To consider the donkeys is to consider them as well. 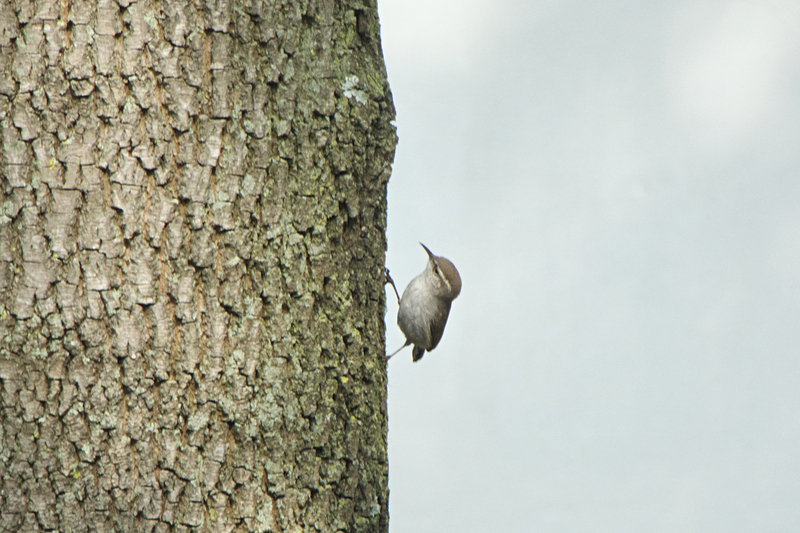 Germane to this article: for all the benefits provided by insect-eating birds to forestry, I’ve yet to find a scientist—and I’ve asked a few—who’s aware of a thorough empirical valuation of these services, much less a forestry plan that explicitly takes insectivores and their services into account. It could be argued that their activities are undirected and therefore not really labor: a squirrel burying nuts is not consciously managing a forest. Yet does a delivery truck driver work with the gross national product in mind, or a short-order cook think about metrics of regional economic output? Work is work. Brandon Keim is a freelance journalist specializing in animals, nature and science, and the author of The Eye of the Sandpiper: Stories From the Living World. Connect with him on Twitter, Instagram and Facebook.